Hello everyone! Hope you are having a great day! Today's prompt is sweets. I struggled with deciding what colors and what to use in this design. 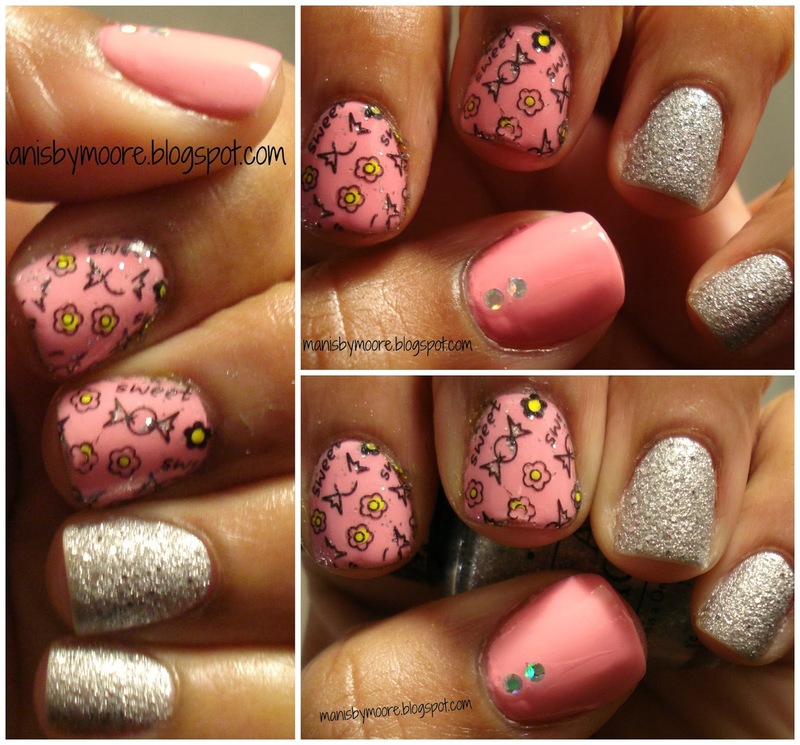 I changed my idea so many times before I decided on this mani. I kept going back and forth between doing cupcakes or candy. I am not really a candy eater but I love cupcakes! I haven't had one in a while but I love them! What is your favorite sweet?? Thanks for stopping by! I think it's cute! And I love your blog's new look! Very stylish! Thank you so much! It still needs some work but I do love the colors! Dare I say this to you and actually call myself a woman? ?....I do not like milk chocolate. I know I know....The only way I eat chocolate is if it is white chocolate.